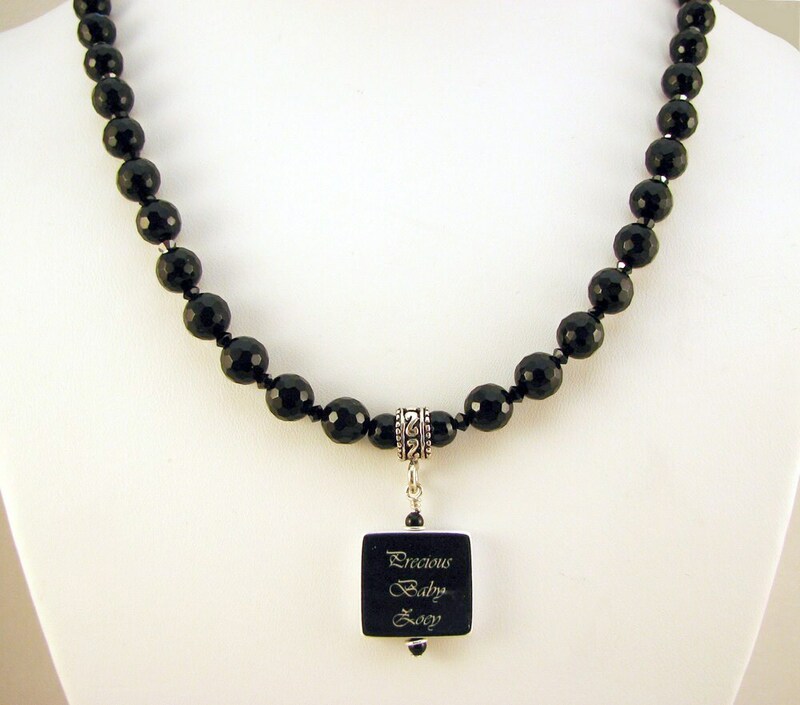 Beautiful faceted Black Onyx; designed to be worn all day, every day, and into the night. 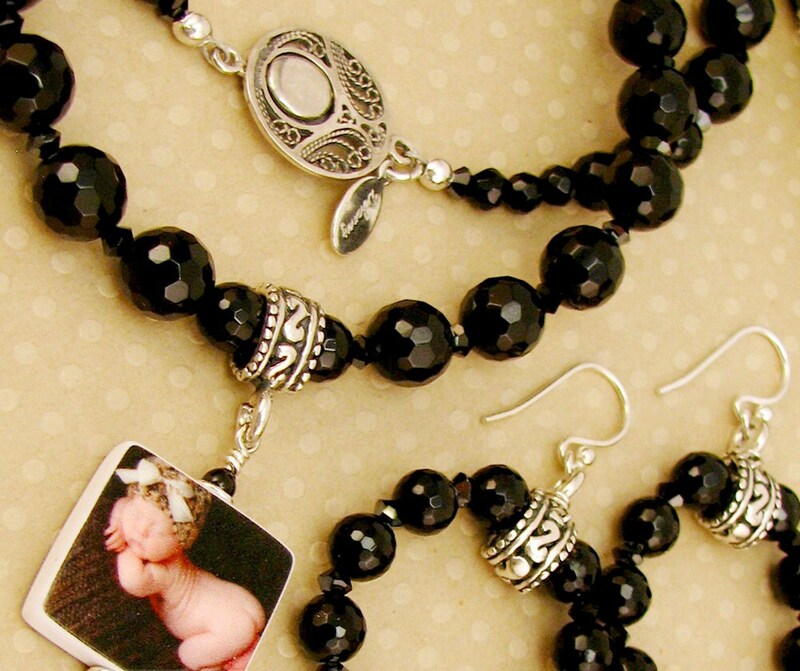 It is perfectly matched with black faceted Swarovski crystals that catch and reflect brilliant sparkles. This set includes earrings on sterling hooks, a custom fit necklace (16" to 19"), and a bracelet (6" to 8"), both with a fancy sterling filigree puzzle piece clasp. 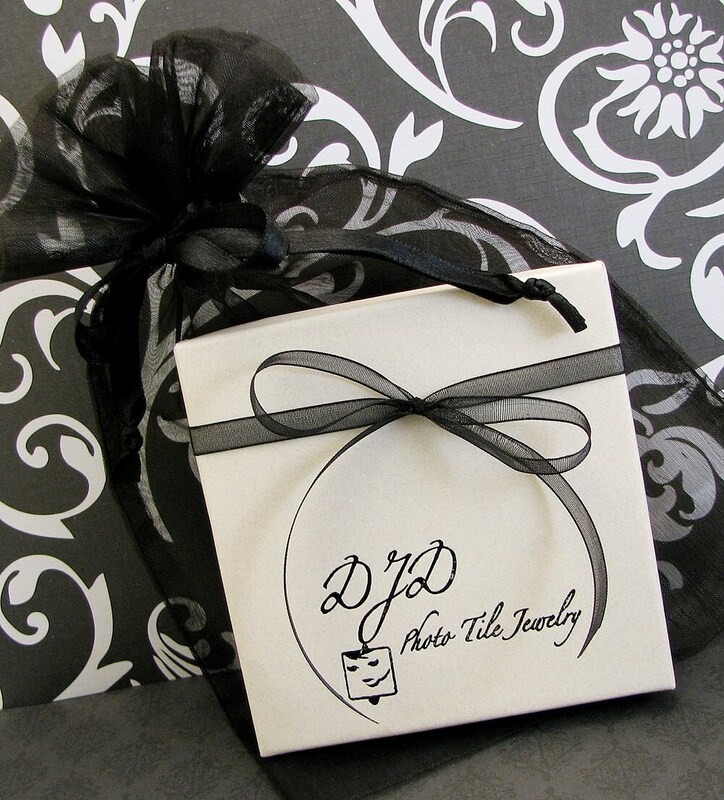 The necklace holds a small (.75") two-sided photo charm, so you may have a second image or request a text side to to be designed for the back; just include your desired text with your image.